4J Studios is gearing up to release another title update for the Xbox 360 edition of Minecraft. They've released a new screenshot demonstrating some of the features that Title Update 12 will contain. The update seems similar in content to the 1.2 patch for the PC. It introduces a new jungle biome, with ferns and new types of trees. Jungles are inhabited by ocelots, a type of cat that can be tamed by players. You can see an ocelot front and center in this screenshot. Iron Golems are also included in TU12. These giants are designed to defend A.I. villagers from threats. 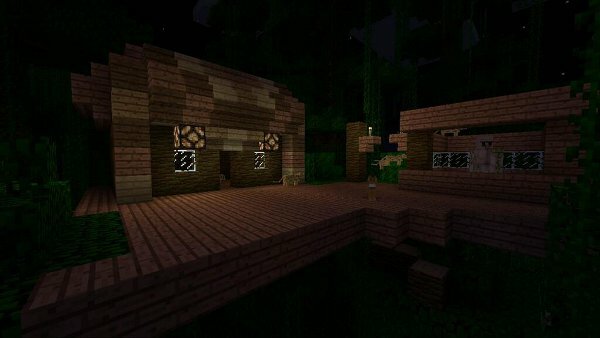 Villagers were introduced to Minecraft Xbox 360 Edition in Title Update 7. 4J confirmed that the build height will be changed in this update. Patch 1.2 on the PC expanded the build height from 128 to 256. Xbox 360 owners may be in for a similar change. Title Update 12 is currently undated. 4J said over Twitter that "there's a long way to go yet."